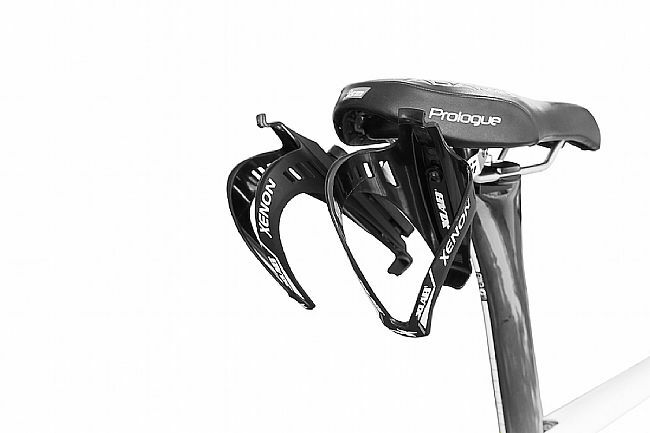 The XLAB Mini Wing System is an under-saddle mounted hydration and repair storage device. Convenient and easy to mount, the XLAB Mini Wing tucks neatly behind the saddle for easy bottle access, yet still allows for easy bike mounting as well. Easy-to-mount under-saddle hydration and repair storage system. Outward angled mounts make bottle access easy. Low mounting position provides clearance for swinging leg over saddle. 1 inch of vertical bottle adjustment for ideal user placement. High gripping XLAB P-Cages help retain bottles.